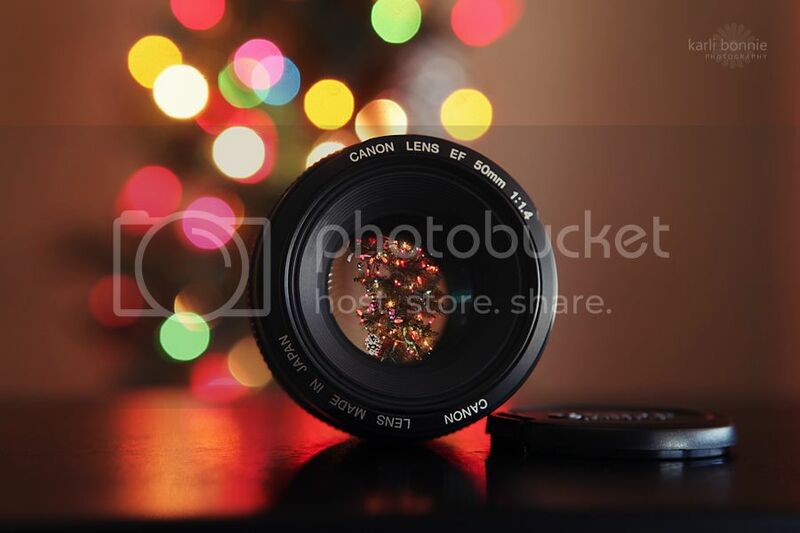 Thank you so much for your sweet comments on my Christmas tree shot last night! Several of you asked how I set up the shot, so I wanted to show a little how-to. You just use a spare lens (I used my 50mm 1.4) and take off the lens cap and the cap that screws on the back. You will now be able to see through the lens. You can see where my tripod is in the picture. Obviously I'm using my camera to take the pullback shot, but that's where the camera was as well. Hugs and thanks for showing the full view - I get it! I will be trying this soon!!! Wowsa lady!! You are just being so crafty and creative! I love this shot - speaks to my heart and I love your how-to! Hope you are well and enjoy your busy next few days! Very cool! What really impresses me though is how clean the room is and that the bed is made. I don't think either of my sons' rooms have ever, ever been that neat! Thanks for posting this. I will do it when we get the tree up. Hopefully tomorrow. That's awesome & so creative! Thanks for sharing! I'm definitely going to try this - in fact...I might try this this afternoon/evening. You think I can leave work already? Karli! I agree with the very first post . . .
You ROCK! You truly, truly do! Amazing, what a wonderful idea - and a beautiful shot! Wowzers! 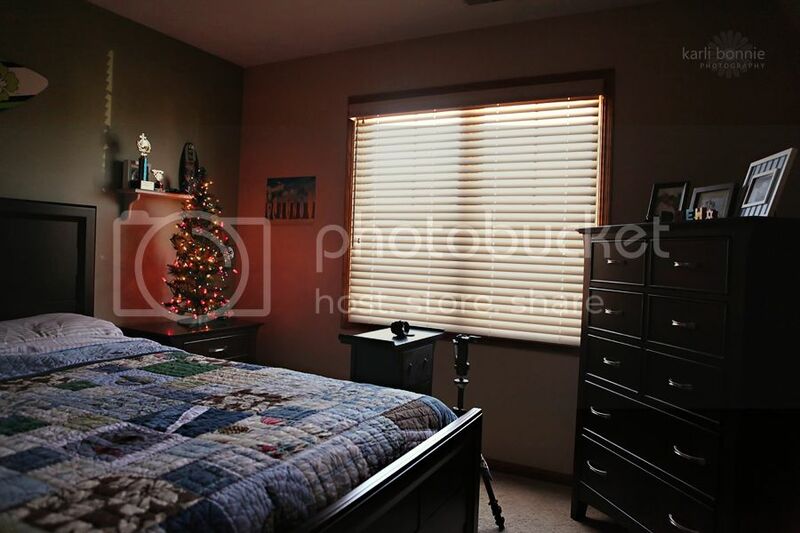 Ok, and not only the photographs, but I am insanely jealous of how CLEAN and TIDY that room is! Wowzers!!! Not sure if you participate in blog awards, but if so... You have an award on my blog! That is soooo cool!! I thought it might have been photoshopped or something. Thanks for the how-to.... I am SO going to try it now :D Hee. I'm looking for Christmas photos if you have any from last year you could direct me to? Trees, wreaths, gifts under the tree, torn wrapping paper, puppy with a bow, table spread (food and/or decorations). Using them for an article. If you have any. Thanks! Thanks for explaining how to do this. I hope to try it when I have some time. I really like this one with the colored lights. Such a cool shot--thanks for the tutorial! Now I just need a tree--ha! I've loved this shot from the moment I saw it. Thanks for sharing the setup, as well. Thanks for posting your "how-to"! I'm anxious to try this one out myself. I also have a Nikon and noticed I had the same issue as Brooke with the lens off camera. I wonder if there is a way around this. That is such a great shot - and thanks for the tutorial, I'm going to have to try it today! Thanks for showing us the set up. This is amazing!